Do I need to get rid of some dirt? We LOOKED at ‘how‘ we are to respond to the Word of God. We want to LOOK at ‘what’ else we must be willing to do to receive the Word of God. Lord, we come humbly to You today, asking that as You teach us and grant us the understanding we need to be transformed and live changed lives. Thank you! Go to GODcha, your road map. Let the Road Signs lead you in your discovery. How will you kickoff your discovery today? 1. Did you see: the ‘therefore’? What is the therefore, there for? THINK: In verse 19, James said we have been born again by the Word. What are those born again by the Word to do? What are we who are born again to receive? 3. Reflect on ‘the Word of God’. 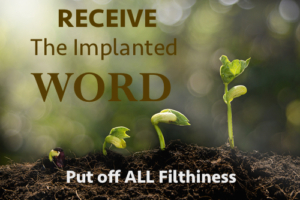 Why do we want to receive the implanted Word of God? Let’s unlatch the Key Words. 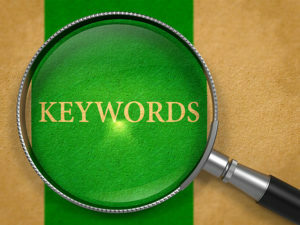 Try examining the meaning of the Key Words on your own. Then we’ll come back and take a LOOK together. How did you do? Let’s scope em out! Putting aside, apotíthēmi; to lay aside. NOTE: The Grammar is in Aorist tense, the tense of the past, thus this is translated ‘having put off’. Filthiness, rhuparía; dirty, filthy, figuratively in a moral sense. Obscene, corrupt. Wickedness, kakía; Wickedness of heart, life, and character (Jas 1:21); sense of malice, the intent, desire to do evil to others. Humility, praü;tēs; meekness. According to Aristotle, is the middle standing between two extremes, getting angry without reason and not getting angry at all. It is the result of a strong man’s choice to control his reactions in submission to God. Receive, déchomai; accept, receive, take. Admit with the mind and heart, i.e. by implication: to approve, embrace, follow. What’s the Grammar? You can do this. Do you see: This is a command! Implanted, émphutos; ingrafted, of a seed or shoot implanted to germinate, to grow or spring up, produce. Let’s put the definitions back into the text. BEFORE it can do it’s work in us. needs good soil to grow in. Understand: We’ve been saved, and the Word continues to save us. There are 3 senses of salvation. 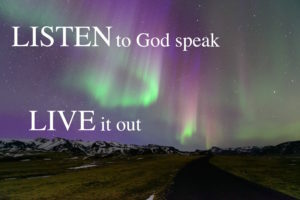 LISTEN and Respond to God! Remember this is the most glorious part of your journey. You are engaging with your Creator, Who desires this time with you. You can do this! Try it on your own before you look at my examples. Remember turn the Truths that you have learned into a personal question(s). Perhaps the Spirit is asking? When was the Word implanted in my heart mixed with faith saving my soul? Do I desire to receive the implanted Word? Am I quick to hear and receive the implanted Word? Or, do I struggle hearing God? Am I willing to examine my life in the light of God’s Word? Do I need to get rid of some filth, some dirt? Am I willing to repent and be cleansed? There is a lot there to think on, isn’t there? before we can ‘put on’; before we can ‘receive’ Truth? “The Word can’t work in our lives unless we receive it in the right way.” Warren Wiersbe. Well, I want you to think, so we will call it a day and look at what we ‘put off’ tomorrow! Reflect – Ponder and chew on putting off in order to receive the implanted Word. Are you willing to receive all that God just spoke to you in this verse? Talk to Him! He loves you and wants you to understand Truth! 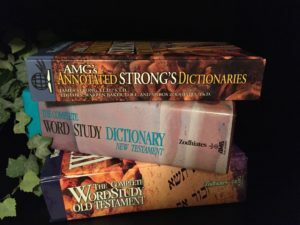 Try to take a minute to put what you have LEARNED from the Definitions not only in your Notes but also in your hardbound Bibles next to Jam 1:21-22. OH FATHER, we come before You today not wanting to be deceived in any way about receiving Your implanted Word of Truth. We thank you for Your Word that is a treasure (2Ti 1:14), more costly than gold or silver (Psa 19:10) that gives us life abundantly (Pro 4:22). Oh, how grateful we are! How would we live without it? Father, may we understand that Your Word cannot work in our lives if we don’t receive it the right way! May we be teachable this day – quick to hear You, willing to examine our lives in light of these definitions. Oh Father, I pray we would be eager to do what You tell us – having put away all filthiness in order to receive Your Word and do it! Thank you Lord! 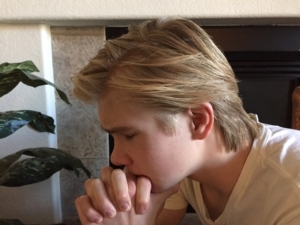 In Christ’s name we pray. Amen! Thank you for being faithful and diligent to hear God’s Word. For hungering for God and His Word of Truth. Next: we will continue to examine what we must be willing to do to receive God’s Word.